There’s a good piece in today’s Observer newspaper on the marketisation of higher education. The paradox is that as universities have become more expensive, they have managed to recruit higher numbers of students. As a public relations lecturer, I’m comfortable with the expectation that a pricey education should result in above average earnings. There’s a strong story to tell in terms of employability – for the right candidates. Yet I’m not comfortable with the idea of university simply as a vocational training course. For one thing, it’s an expensive and wasteful way to be trained, since most lessons learned in the first year will be forgotten by the third. More important, do 17 year-olds have an infallible instinct for what they will be doing as 30-year-olds? I certainly didn’t, and spent part of my 20s doing things I was already aware of (teaching and publishing) before finding my feet in areas I’d not previously known about (technology journalism then public relations). Training has its place, but you can only train people for existing industries. You cannot train people for the jobs of the future – but you can build this flexibility into a broader education. So a university course has to provide a greater focus on education than on training. Students have choices: they do not have to go to university and they do not have to study specific courses. If a school leaver is set on public relations, they have the option of an apprenticeship that will allow them to earn while learning. University suits the open minded – those who’ve yet to settle on their future career, and those who are willing to learn. It’s about the journey, not just about the destination. It takes time. 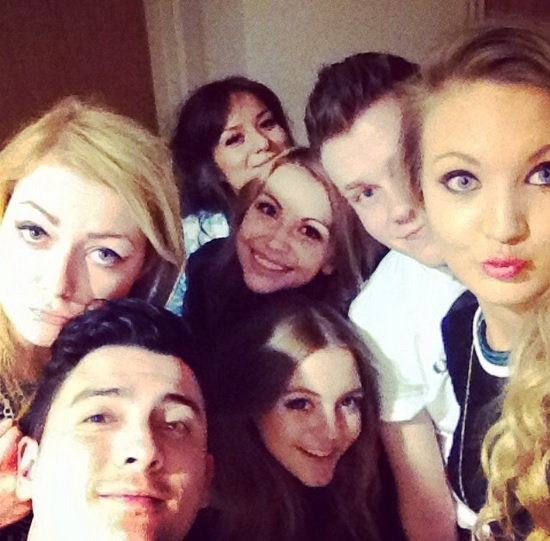 Being a student is a full-time activity, even if classes only take up a small proportion of your week. Don’t moan about this – but celebrate your freedom. Look at your parents: I’m sure they have very little free time between the demands of jobs and the commitments of a family. You’ll be busier than you can imagine for decades to come, so do please revel in your new-found freedom. Not having a degree may exclude you from even applying for some jobs, as might not having achieved a 2:1 or above. But please don’t become solely focused on your degree classification. Employers don’t hire you for what you’ve learnt at university: they take your good degree as an indication of your future potential. There are more and better ways to demonstrate your potential than your grades. 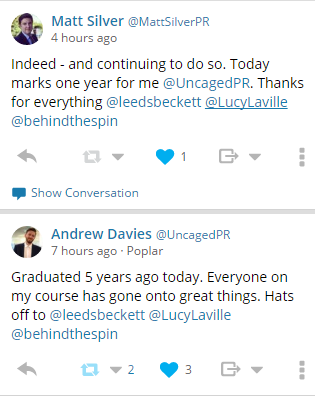 I’ve had a few conversations with practitioners in recent weeks about teaching public relations to students. This post is the first in a small series summarising my advice, and giving the upsides and downsides of teaching. In brief: there are lots of opportunities – but vanishingly few jobs. The best way to start is to give it a go. Course leaders and tutors welcome guest lectures from practitioners, so your best way to gain some experience and make some contacts with university lecturers is to contact permanent members of the team to offer a guest lecture. Students enjoy guest lectures because they are a refreshing change from their regular (academic) lectures. Yet students like to take something out of each lecture or teaching session – otherwise they tend to feel the content is irrelevant. So beyond telling them about your personal experience of work, you need to include a ‘takeaway’ element in your talk. This could be tips on getting a job in your sector, or a reflection on how theory applies to practice, or a cautionary tale of how not to do something. A good guest lecture would describe your sector or specialism in some detail. The upside of giving a guest lecture is that you’re experiencing the best bit of a lecturer’s job: educating through experience and example and communicating to a (reasonably) engaged audience. A guest lecture will also help you develop a relationship with one or more members of the teaching team, who may need to call on you for a larger contribution (see part two to follow). The downside of a guest lecture is that it’s inevitably mostly one-way, with limited opportunities for dialogue and developing relationships (though I would expect some of the class to start following you on your favoured social networks). You may also find it a humbling experience: students are given a lot of lectures, so tend to approach each new one with indifference. 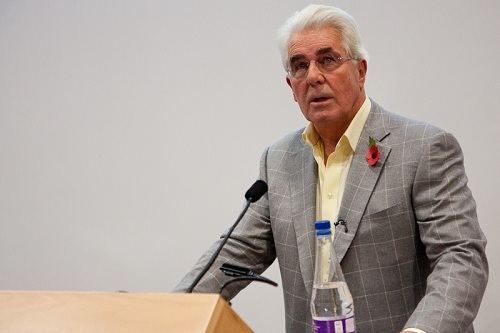 Very few practitioners or academics have the pulling power to fill the largest lecture theatres, as happened with Max Clifford (pictured). You are also unlikely to be paid, though you may receive travel expenses if you’re prepared to fill out the university’s form, submit your receipts, and to wait a while for the payment to be processed. PR practitioners will understand that this is a relationship-building tool, and that you need to invest your time up front. In part two I’ll discuss the next step: hourly-paid teaching. 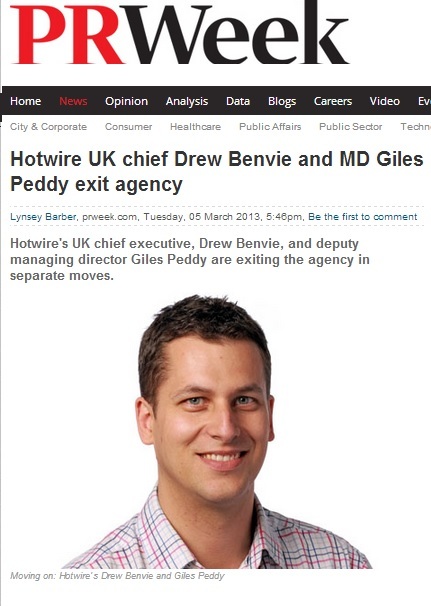 Drew Benvie has resigned from Hotwire, launched a new consultancy business Battenhall and used his Huffington Post column to explain why the Comms Agency model is ripe for disruption. So what does the future hold? I firmly believe a new kind of agency that is built for the social media economy can thrive, where everything starts with social, but the experience backing that up in each individual adds another dimension. Disruption of the agency model as we know it. It used to be that public relations was the pipeline to the public, but now that’s no longer true. So the role of PR now has to become more strategic. It has to evolve and has to take centre stage at a more strategic, and senior level. Steve Earl and Stephen Waddington probably share this thinking. 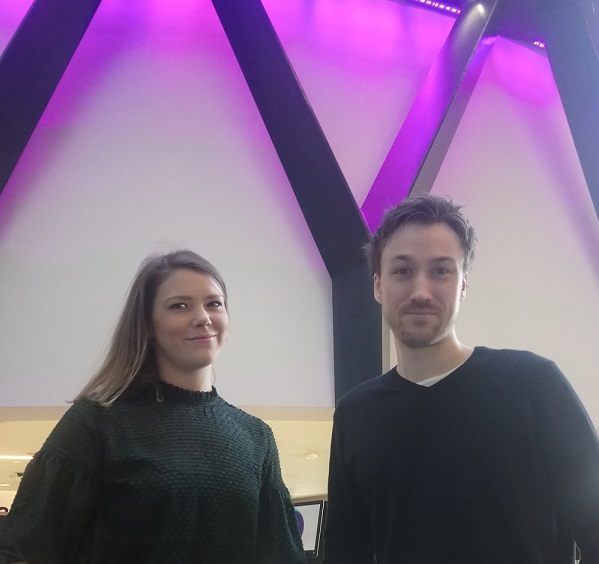 Last year they resigned from leadership roles within a mid-sized consultancy and are now in senior roles in different international consultancies. To me, this suggests that boutique public relations businesses can thrive if they find their niche, but mid-sized businesses might be squeezed between the specialists and the large international networks. I’m sure I’ll return to this theme because it interests me – but my blog’s theme is public relations education. For many of the same reasons, education is also ripe for disruption. That’s what I want to explore here.